When emissaries from a world called Yount offer Barnabas a chance to redeem himself, he accepts their price to voyage to Yount with the key that only he can use to unlock the door to their prison. But bleak forces seek to stop him: Yount's jailer, a once-human wizard who craves his own salvation, kidnaps Barnabas's nephew. A fallen angel, a monstrous owl with eyes of fire, will unleash Hell if Yount is freed. And, meanwhile, Barnabas's niece, Sally, and a mysterious pauper named Maggie seek with dream-songs to wake the sleeping goddess who may be the only hope for Yount and Earth alike. 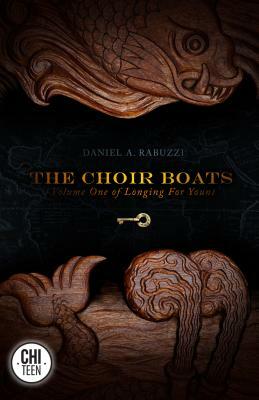 Daniel A. Rabuzzi studied folklore and mythology in college and graduate school, and keeps one foot firmly in the Other Realm. His fiction and poetry have appeared in Sybil's Garage, Shimmer, ChiZine, Lady Churchill's Rosebud Wristlet, Abyss & Apex, Goblin Fruit, Mannequin Envy and Scheherezade's Bequest. He has also had twenty scholarly and professional articles published on subjects ranging from fairytale to finance. A former banker, Daniel earned his doctorate in 18th-century history, with a focus on issues of family, gender and commerce in northern Europe. He is now an executive at a global non-profit organization that provides educational materials to children from under-resourced and traditionally marginalized communities. Daniel lives in New York City with his wife and soul-mate, the artist Deborah A. Mills, along with the requisite two cats. Contact Daniel at www.DanielARabuzzi.com.